Sol Flower is the unofficial name for this pattern. Sol Flower came with a serving Trivet. “Whatever the occasion, it’s always right to give PYREX Ware!” exclaims a 1969 “New Gifts” catalog. One of these new gifts was the unofficially named “Sol Flower” pattern. 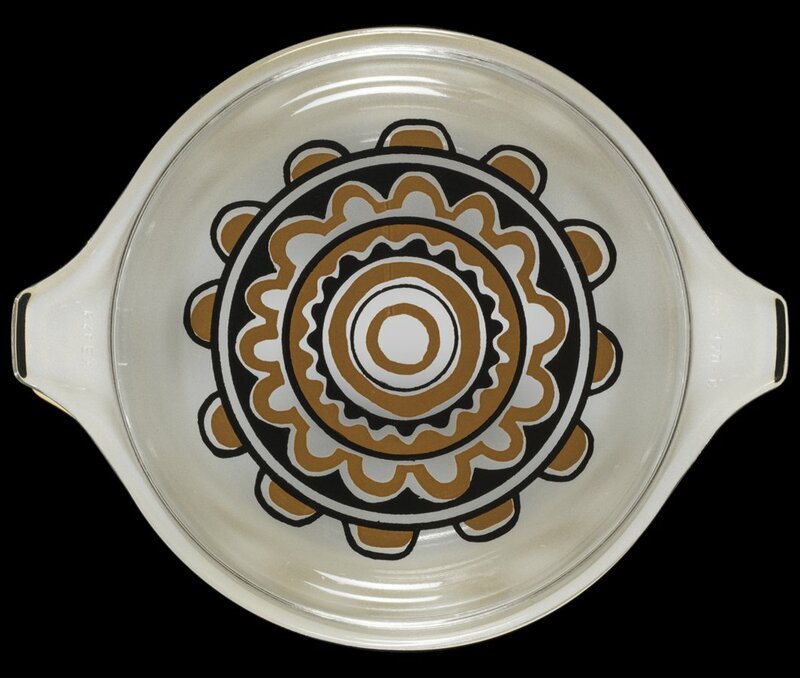 Sol Flower was referred to as a Round Casserole with Trivet, but did not have an official pattern name. Released on the 1-quart Round Casserole (473) Sol Flower came with a serving Trivet. The decorative sun pattern is printed on the clear lid while the casserole is a bright yellow color. Upon its release, Sol Flower retailed for $3.95.